What’s better than one Camaro? 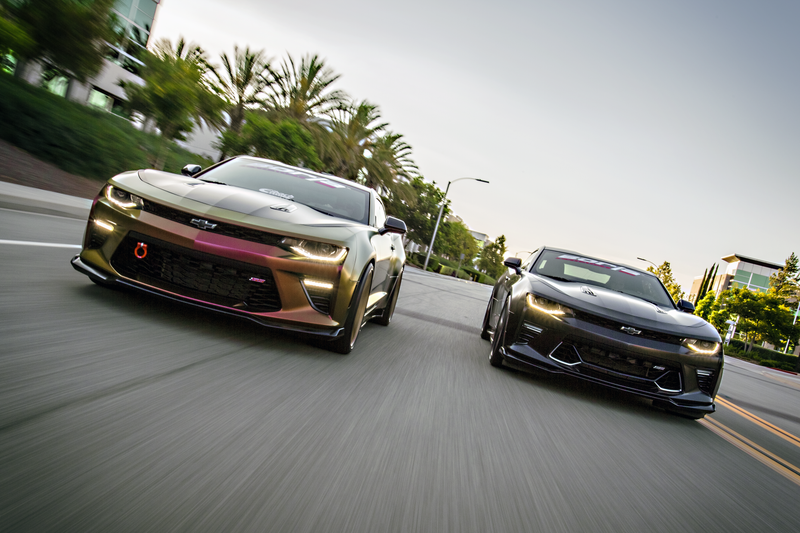 How about two Camaros? It’s like street NASCAR out here. This weekend’s desktop wallpaper comes courtesy of Gary Johnson, who hoped in his email that “some corner of Jalopnik” would like his Camaro picture. I like your Camaro picture, Gary, and I like the cars. The way the gold paint is capturing light on the left there is interesting, and I love the chrome accents in the grille of the SS on the right. They look like mean little teeth. Nice angle, nice shot, nice wallpaper. Photo credit: Gary Johnson. Used with permission. For more photos, you can check out Gary’s Instagram, @gjukatmedotcom. For a big desktop version of the photo to save, click here. Thanks, Gary!